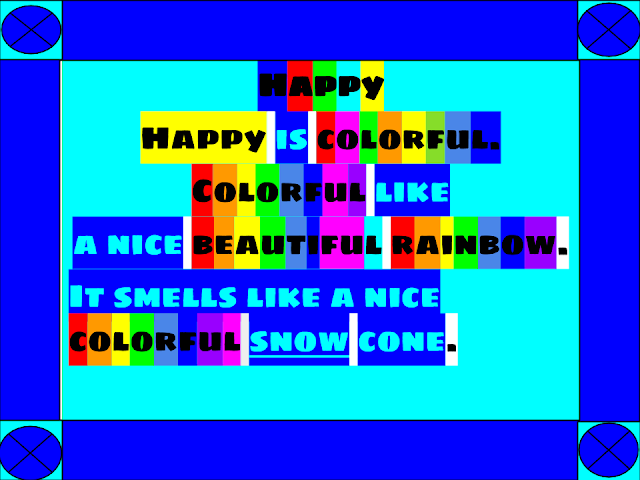 Trent : happy emotion poem. Interesting simile Trent, that it smells like a snow cone instead of tastes like a snow cone. Where is the rest of you poem?